I don't know when I first touched Apophyllite. I do know that my sister brought a piece to my house and asked if I wanted to work with it. I placed the stone in my non-dominant hand and closed my eyes, and like a whoooosh, the vibration was so intense, so immediate, I needed to know more about this gorgeous stone. She has since gone on to buy a few more Apophyllite and began working with it herself. So often we read about a stone, then buy it. How fortunate I was to feel the stone before knowing anything about Apophyllite. Clear Apophyllite resonates with the Crown and Third Eye chakras, and is an excellent ally in the realms of connection with Spirit Guides, Angels and other dimensional beings. It is awesome for increasing psychic ability. Some see each stone as a "temple" one can enter for esoteric knowledge. The primary use for Apophyllite is mediation. I don't often use it in my crystal healing practice, though I occasionally do put the points in the Transpersonal Chakras (8-14) to enhance Reiki energy. Apophyllite is considered the Stone of Reiki, and it certainly opens my channel when I am performing Reiki on another person. But mostly, I use Apophyllite for me. It is a natural connector to the angelic realm and angel communication. It also works to open the Heart Chakra to Divine unconditional love, and I think would be an excellent connector to Saint-Germain's Violet Flame, or the Pink Flame of Divine Love, or Mother Mary's Blue Diamond for any of those LaHoChi practitioners out there. I also think Apophyllite is an excellent stone for grids or distance Reiki where angelic presence is needed. 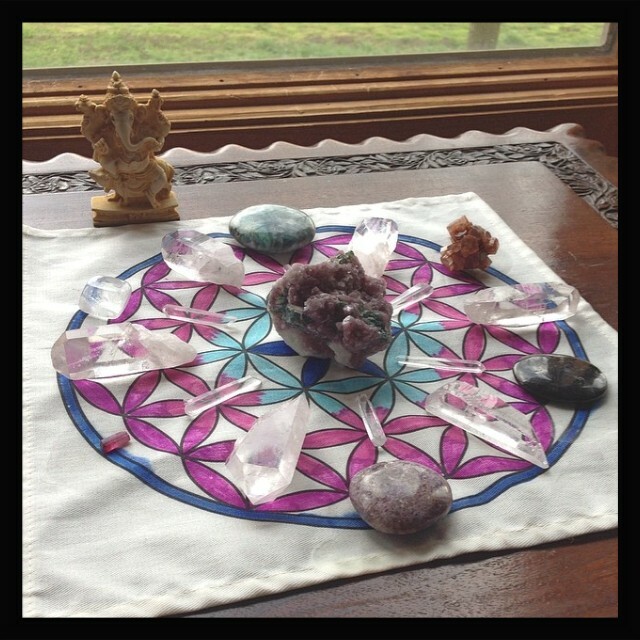 I often create grids then call in angels to assist in healing. 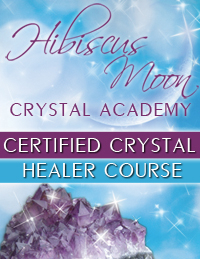 Because it is such a high vibrational stone, it just feel good in healing spaces. As a grid component, it is a wonderful enhancer for spiritual grids, connection grids, opening grids. I open to my Higher Self, my guides and my angels.